« Small Dogs…King of the Castle! Your dog starts barking for no reason and your immediate reaction is to tell him to stop, or even raise your voice to him. You’ll soon find out that this doesn’t work and can actually make the problem worse. The dog can also see your attention as a reward. Whenever it is possible, ignore your dog when he starts barking for no apparent reason. 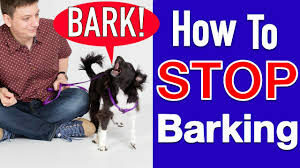 If your dog starts barking, don’t even look at him. Make sure there is no eye contact, turn your back until he quiets down. As soon as he stops, give him a treat and praise him. After your dog learns that he is being rewarded for being quiet, you can start to lengthen the time that he needs to be quiet before receiving a treat. This method works best outside of your home. Try in on walks or when visiting friends. Many apartment complexes allow pets but when a dog is constantly barking, this can cause problems with the neighbors and the landlord. Make this a great day with great oldies. Edgewater Gold Radio plays all of your favorites from the 50s through the 80’s plus great pop standards. Turn on your memories now! EDGEWATER GOLD RADIO. Download the FREE Edgewater Gold Radio now or listen from our website: Edgewwatergoldradio.com. This entry was posted on Thursday, April 26th, 2018 at 8:33 am	and is filed under Pet Supplies. You can follow any responses to this entry through the RSS 2.0 feed. Both comments and pings are currently closed.